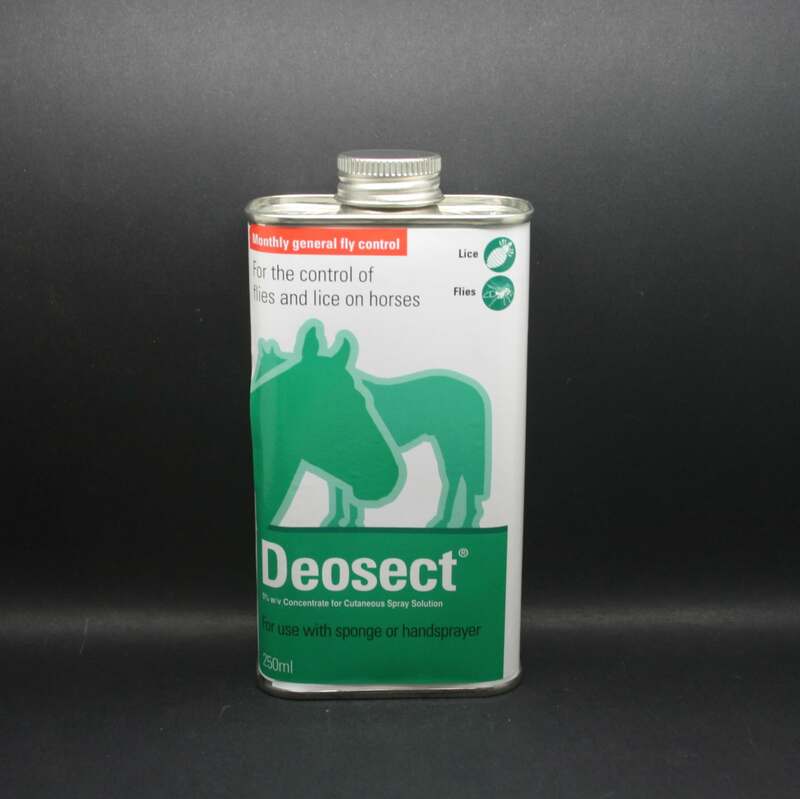 Deosect 5% spray is diluted & applied topically to horses to control lice & flies. Just 10ml of Deosect diluted with 500ml of water is enough to treat a 500kg horse. It can then be applied with a sponge, hand sprayer or knapsack sprayer. To control flies, Deosect should be applied at the start of the fly season & repeated monthly. For severe head & face fly control, it can be applied every two weeks. To control lice, Deosect should be applied when they are noticed & doses repeated as neccesary with a minimal interval of 14 days. Warnings & Contraindications- Product must be diluted as per above instructions. Do not apply to broken skin. Wear impermeable gloves, rubber boots & a face shield when handling the product. Apply in a well ventilated area only. Deosect is flammable.